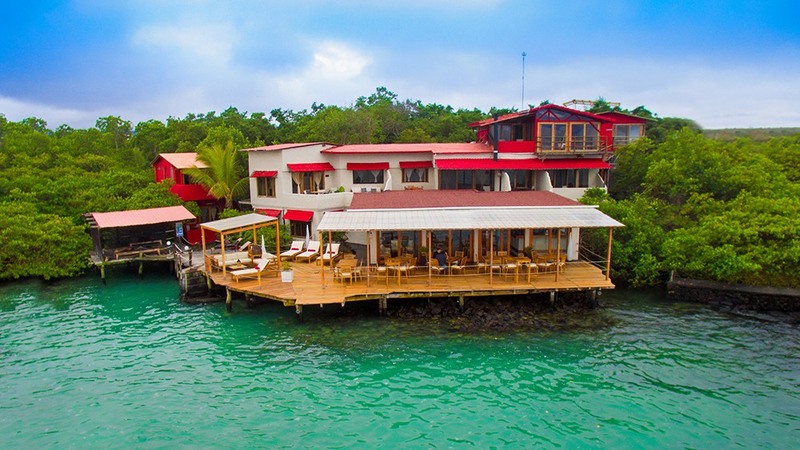 The Red Mangrove Lodge is set on Puerto Ayora’s bay near the mangrove ecosystem, incorporating these two landscapes into its design. 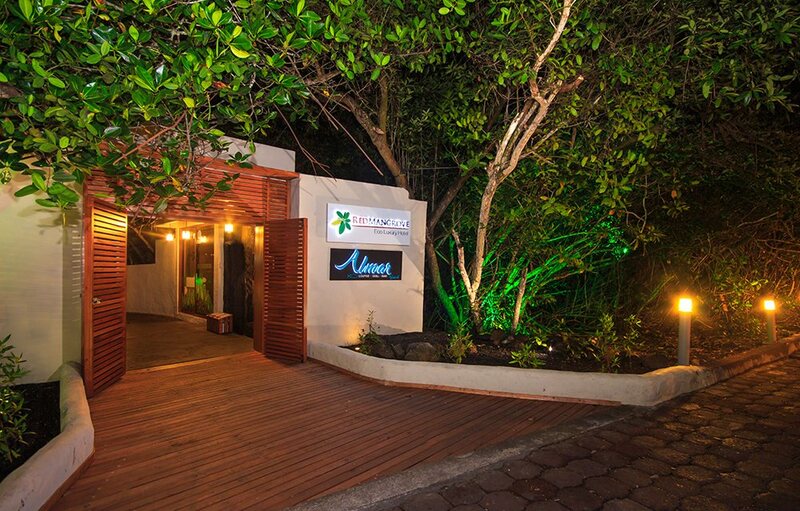 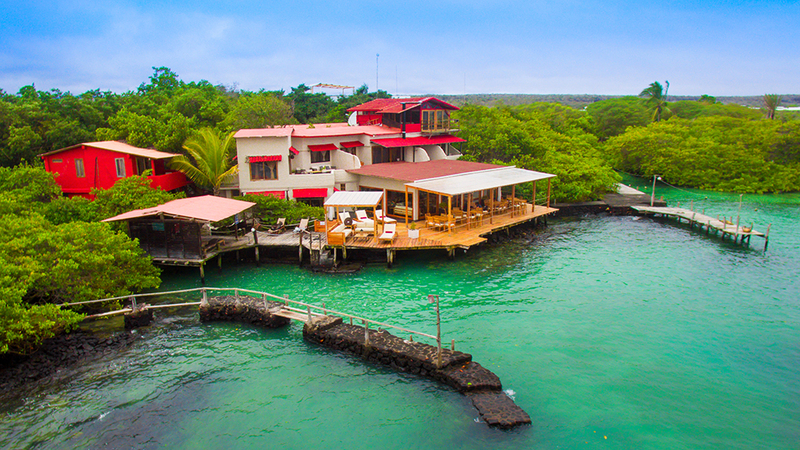 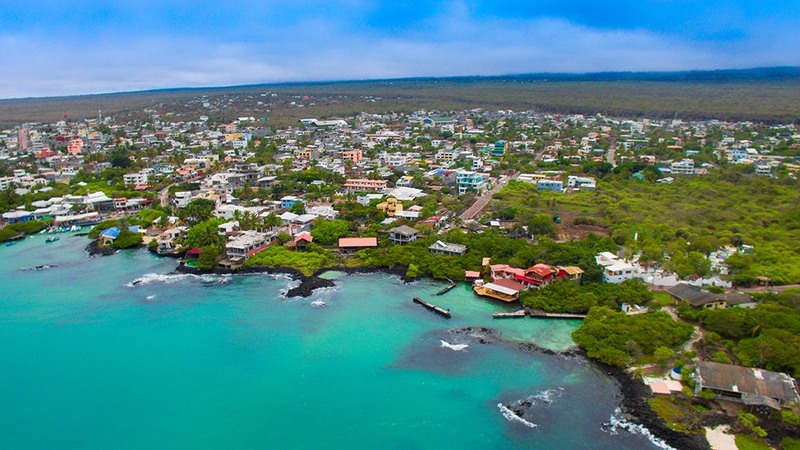 Located just a few minutes’ walk from the Charles Darwin Research Center and a short stroll from the beach, this is a great, low key lodge for a land-based tour of the Galapagos or to relax at the end of a cruise. 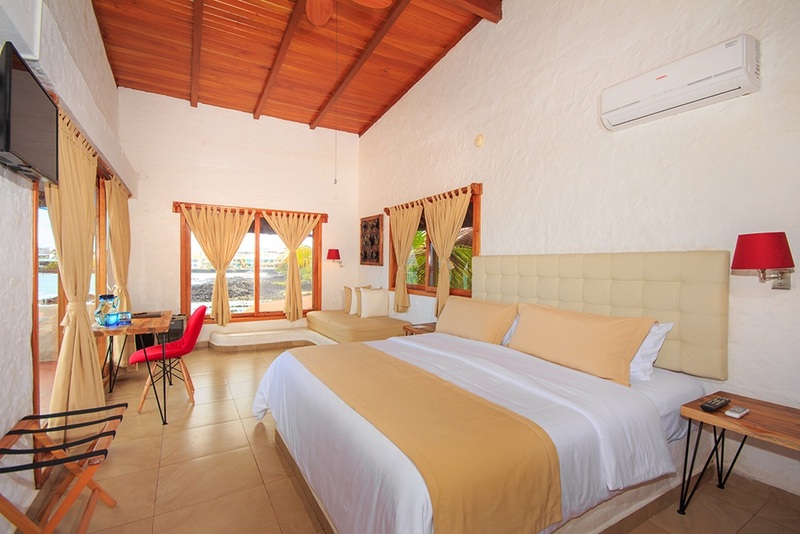 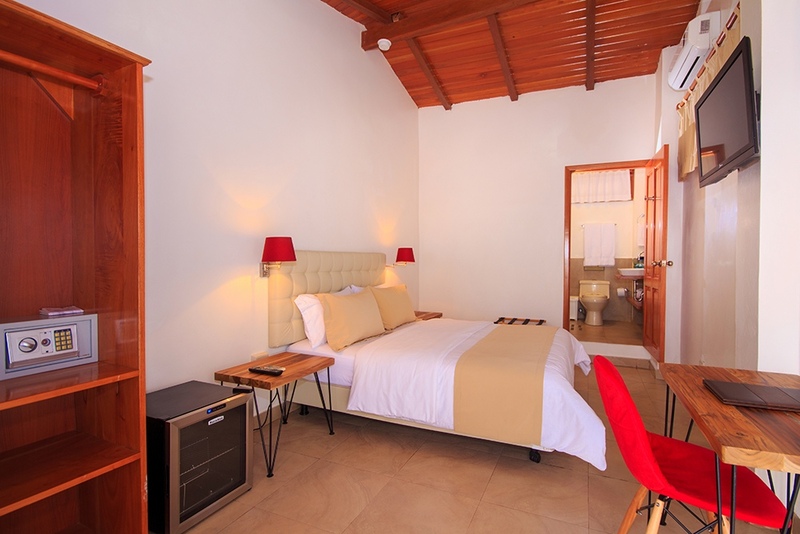 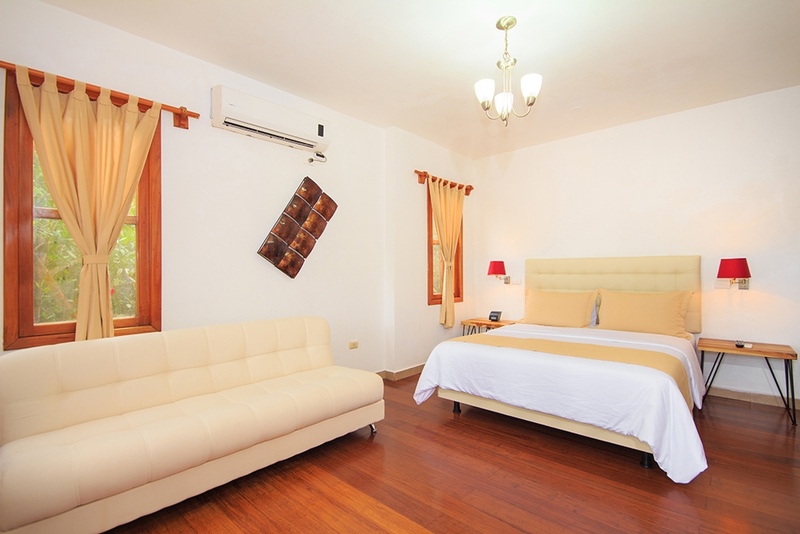 Choose from 19 spacious rooms, all decorated with a clean, laid-back style. The 5 suites and 6 superiors overlook the waterfront, while the 6 standard rooms are set in the lush mangrove, each outfitted with cable television, internet access, air conditioning, hot water, eco-friendly bath amenities and a private bathroom with a tub. 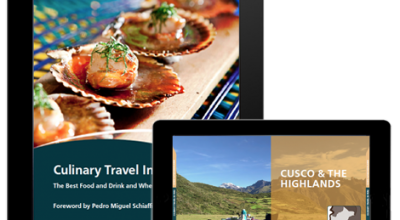 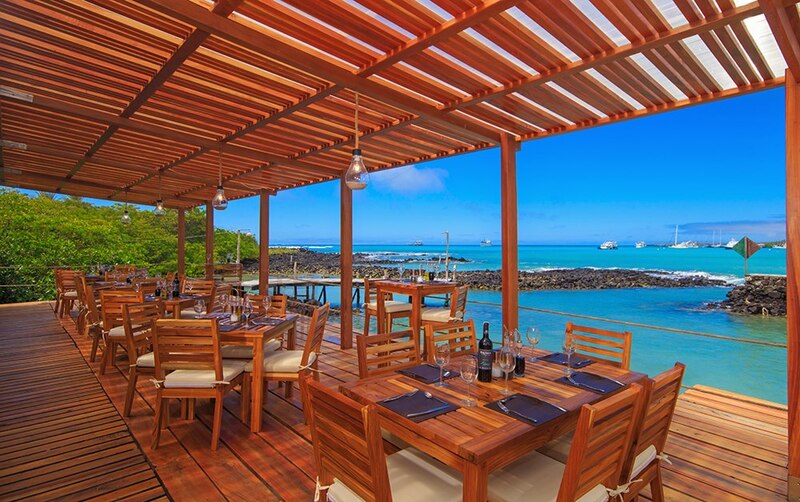 Enjoy Galapagos fusion or international cuisine al fresco at the seaside restaurant and unwind at the bar-lounge in the evenings. 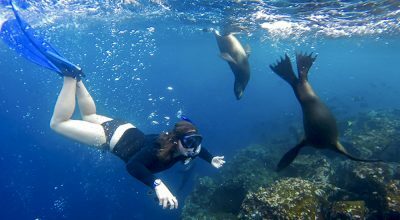 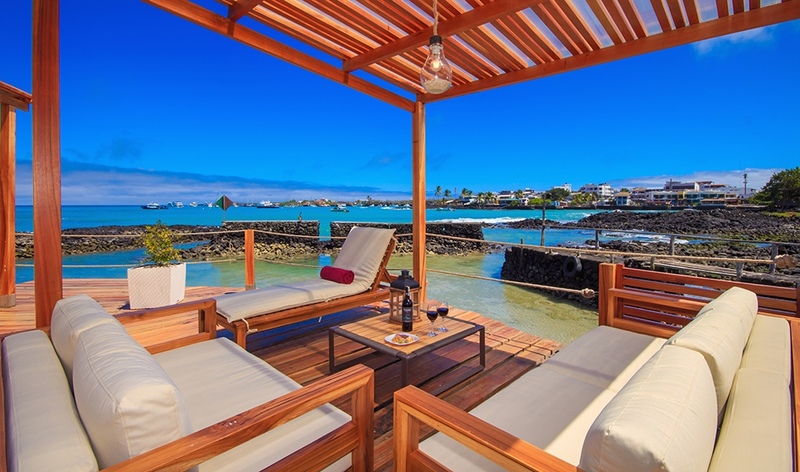 The expansive outdoor deck welcome Galapagos wildlife, and many local sea lions call the lodge home. 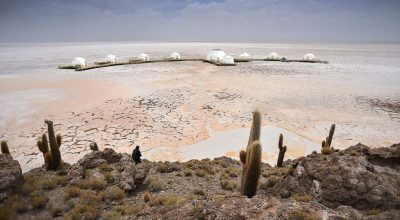 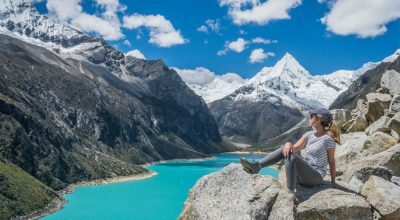 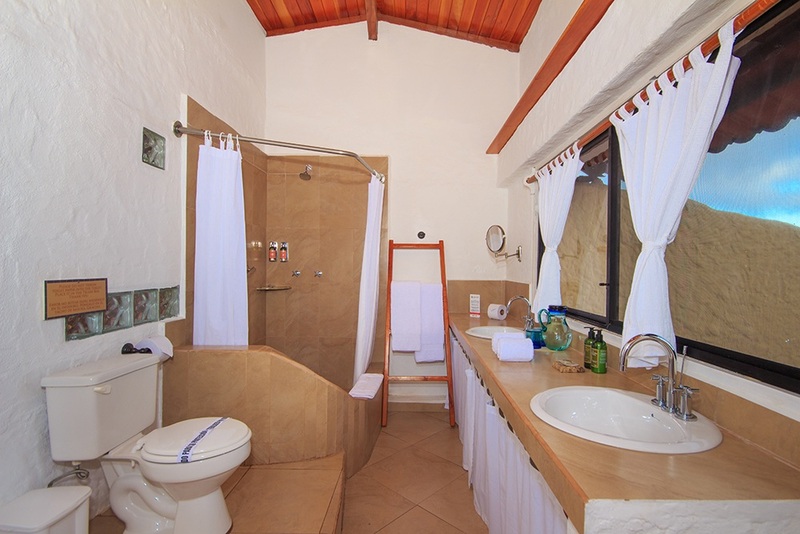 The lodge offers various tours and activities like snorkeling, horseback riding and mountain biking and can assist with arranging other tours during your stay.